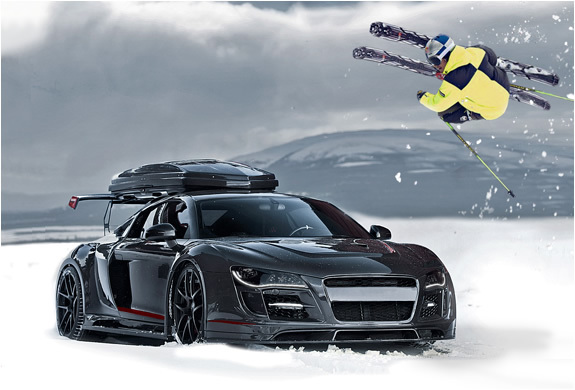 In the skiing world Jon Olsson is known for innovating new tricks, in the automotive world he’s known for taking supercars through weather that might make some SUV drivers cringe. 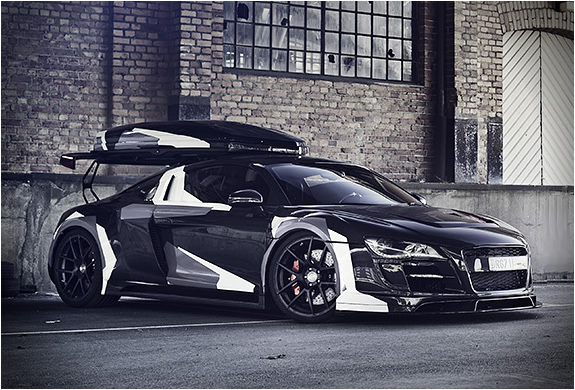 Olsson took delivery of his newest toy, a full-carbon PPI Automotive Design Audi R8 Razor GTR sporting his signature roof box. 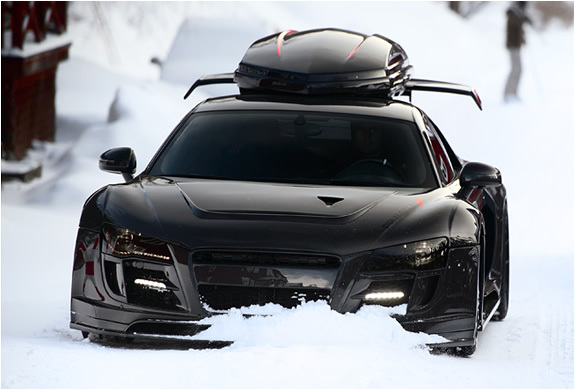 The R8 V10 sports a complete carbon fiber widebody that weighs in at a scant 1,320 lbs or so. In total, the PPI Design transformation shaves over 550 lbs from the R8′s body, while power upgrades from PPI and Statis should have Olsson’s car over the 710-hp mark. He also opted for a set of ADV.1 wheels for each corner of the R8.